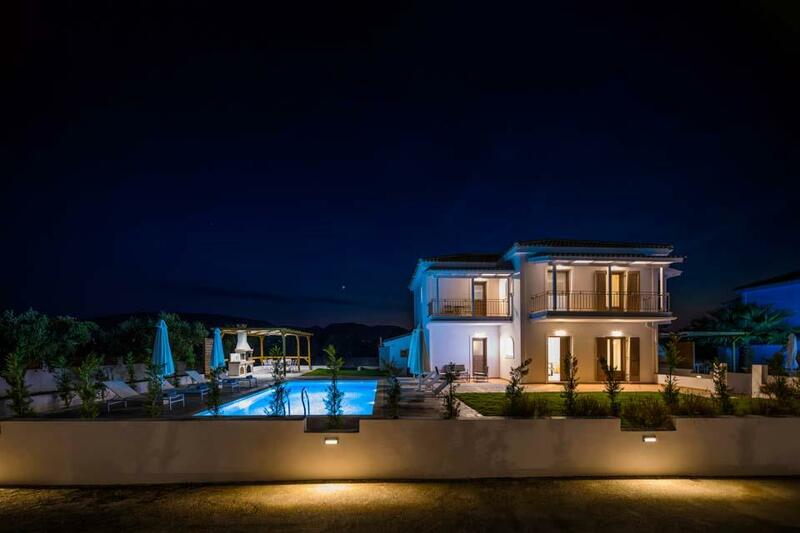 Villa Rodi - the word means pomegranate in Greek - surrounded by vineyards and olive groves in a peaceful rural valley a short distance from Zakynthos town and the Bay of Laganas. 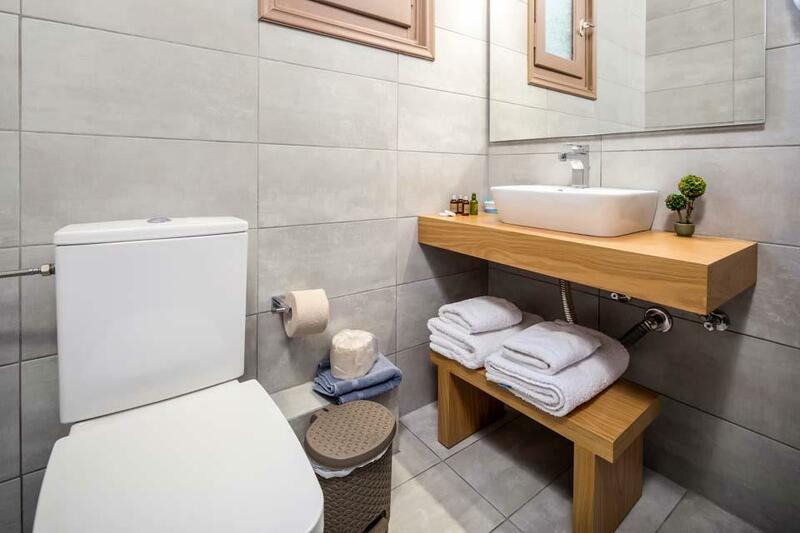 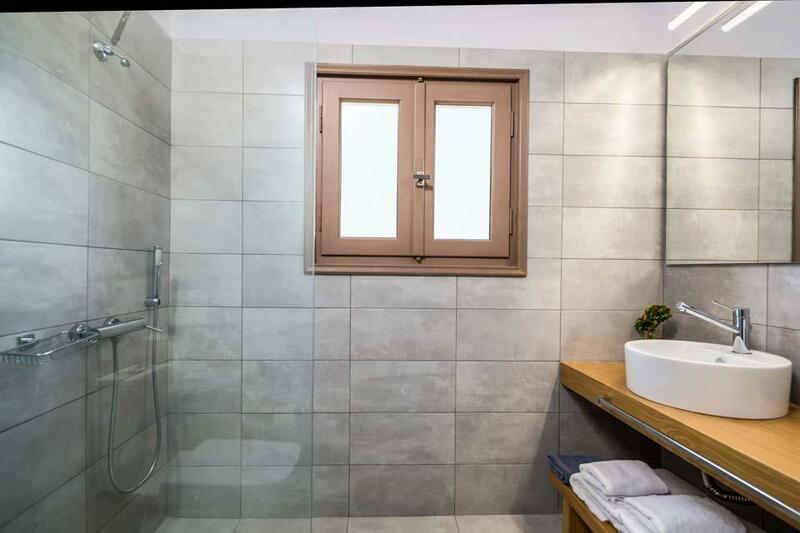 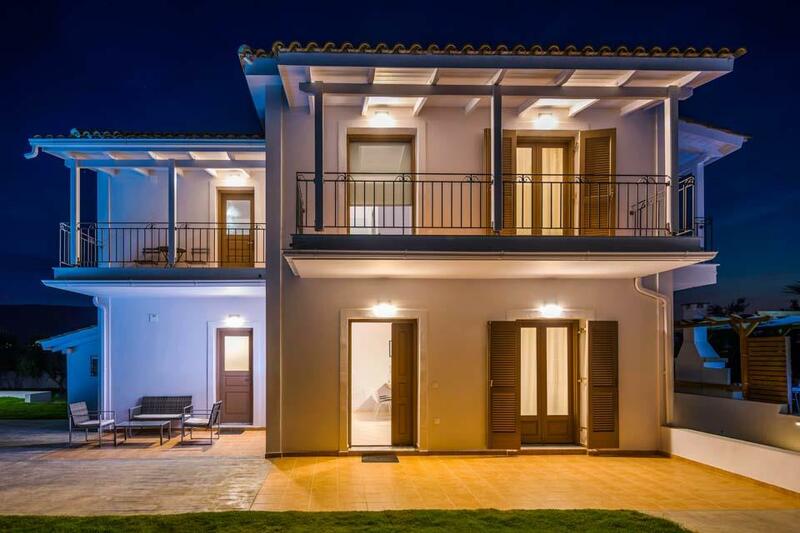 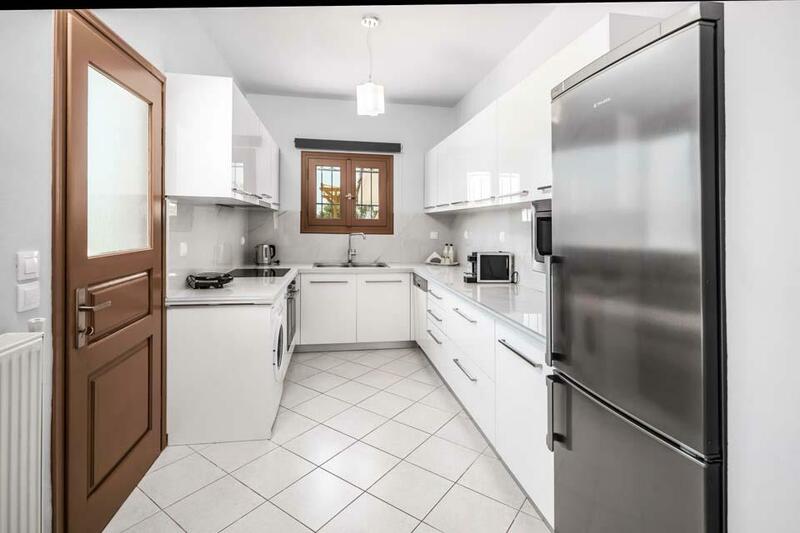 This fully independent villa (one of four on a small development each standing in its own large private garden) is a short drive, or even a walk, to local restaurants and supermarkets and a 10 minute drive to the glorious beach on Laganas Bay or into Zakynthos town for some shopping therapy or an evening out on the town. 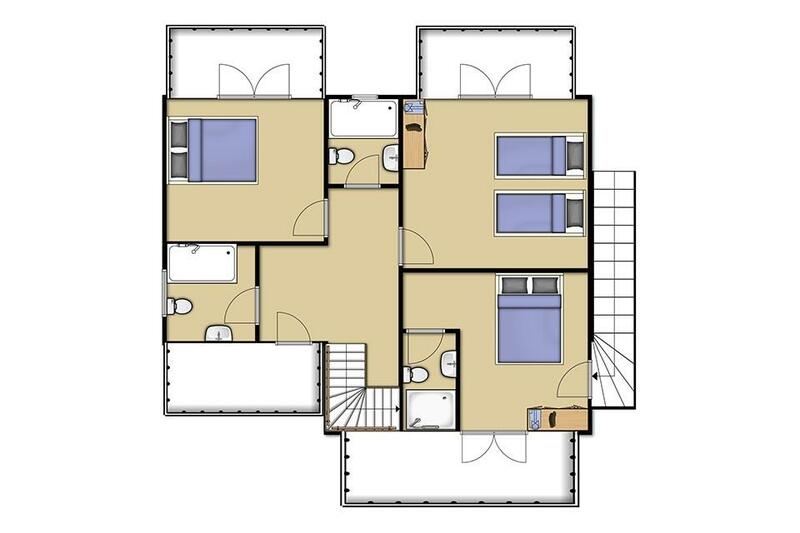 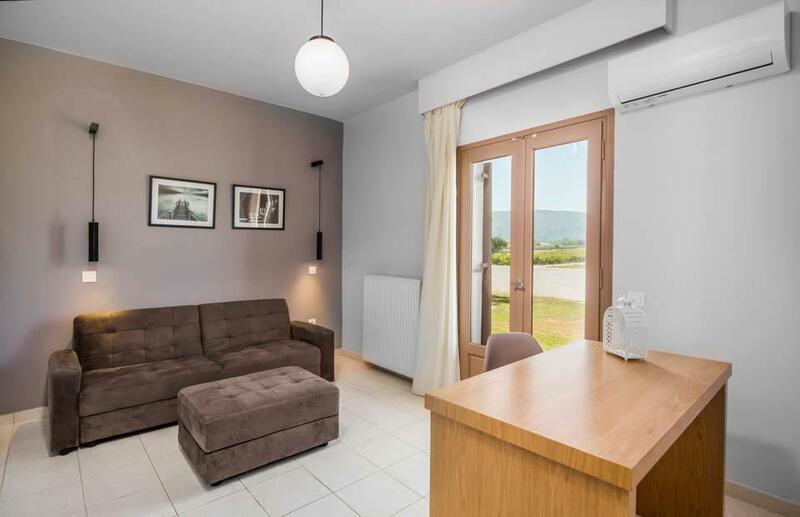 Newly finished in 2018 Rodi is modern and ideally fitted out for a relaxing summer break with cool, neutral colour schemes and attractive furnishings – an additional living area/study also provides accommodation for a 9th person if needed. 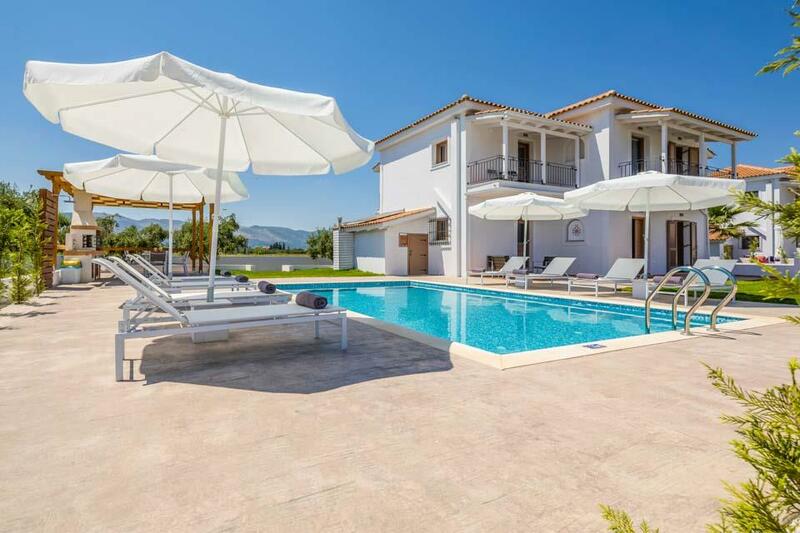 The garden with large paved area, offering a very attractive shaded dining area and built in barbecue, has a large area of lawn where you can challenge your companions to a table tennis match, or just enjoy your private swimming pool, whilst gazing out to the peaceful surrounding countryside and distant mountains. 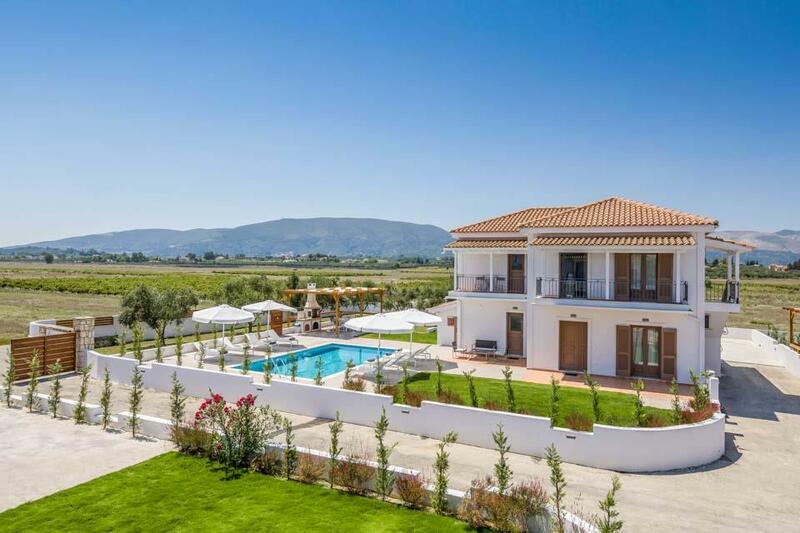 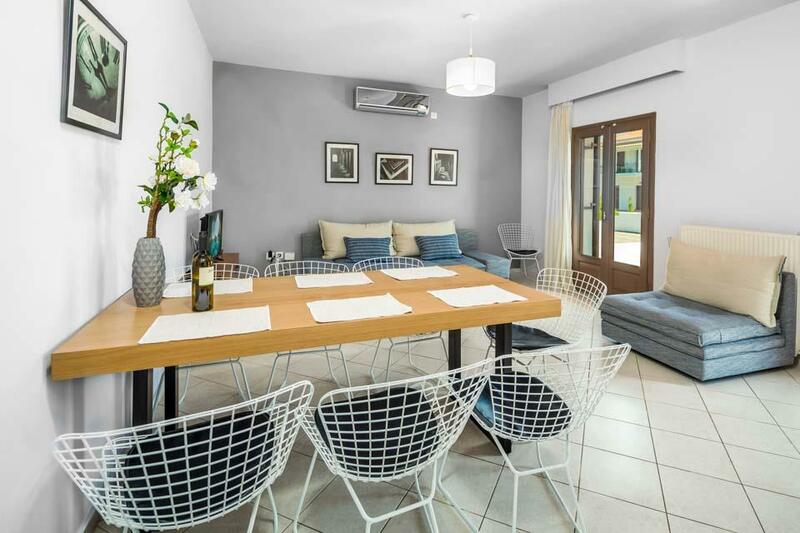 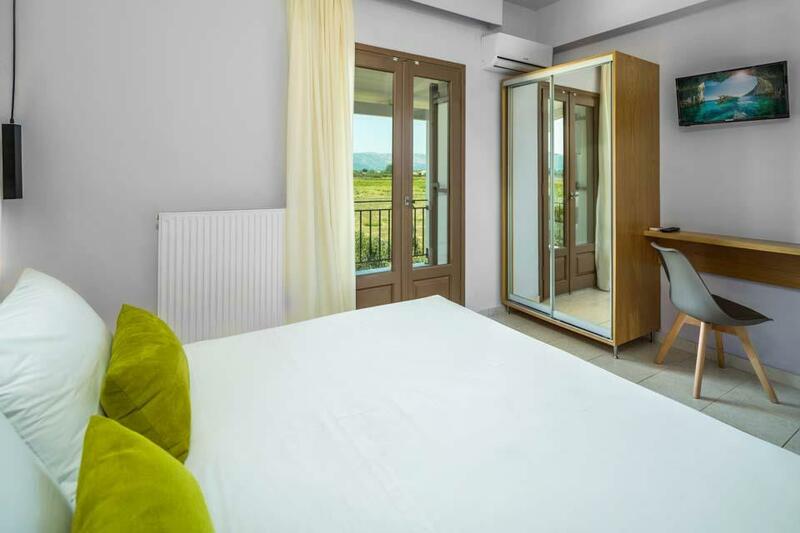 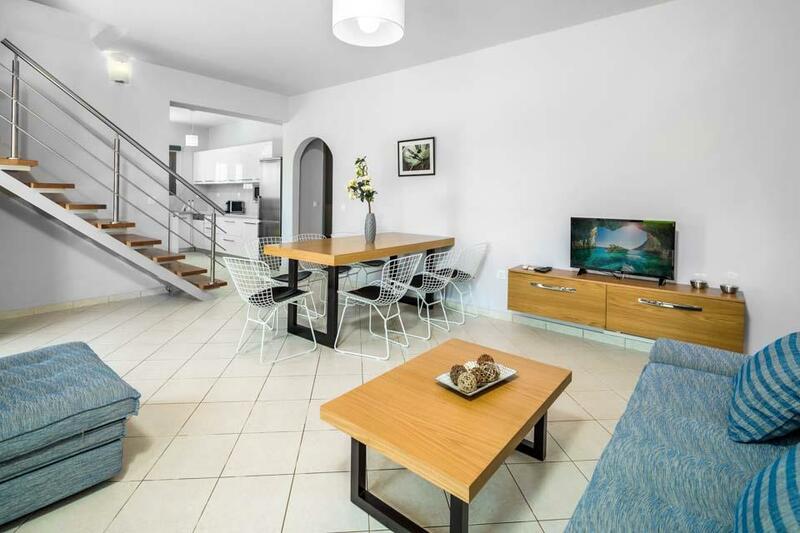 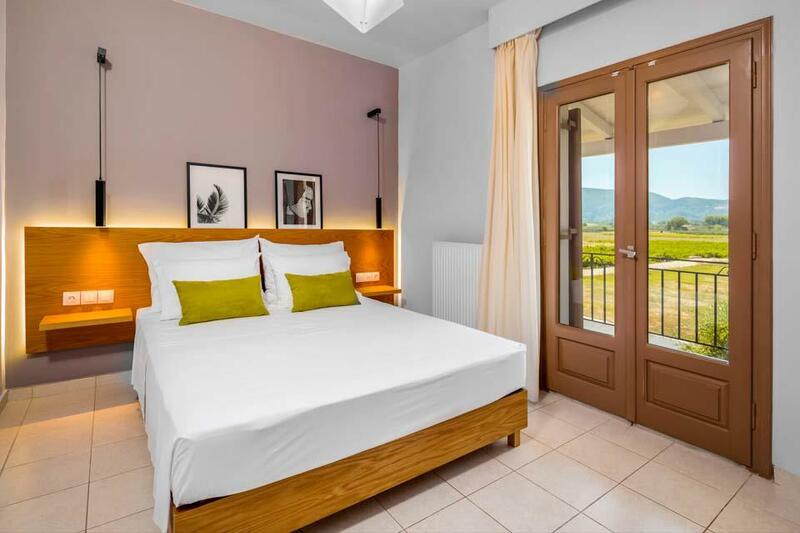 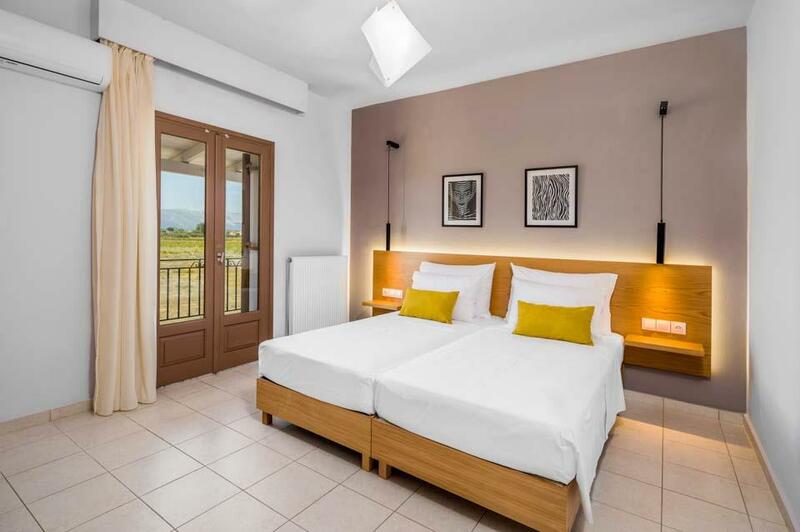 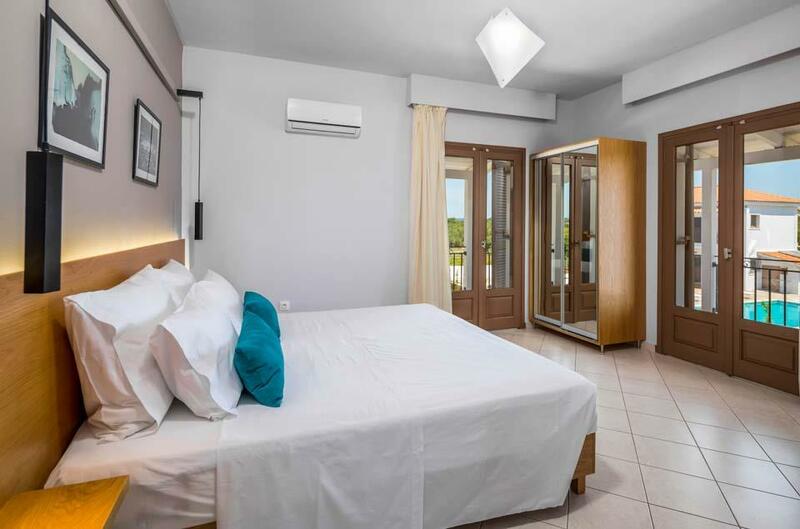 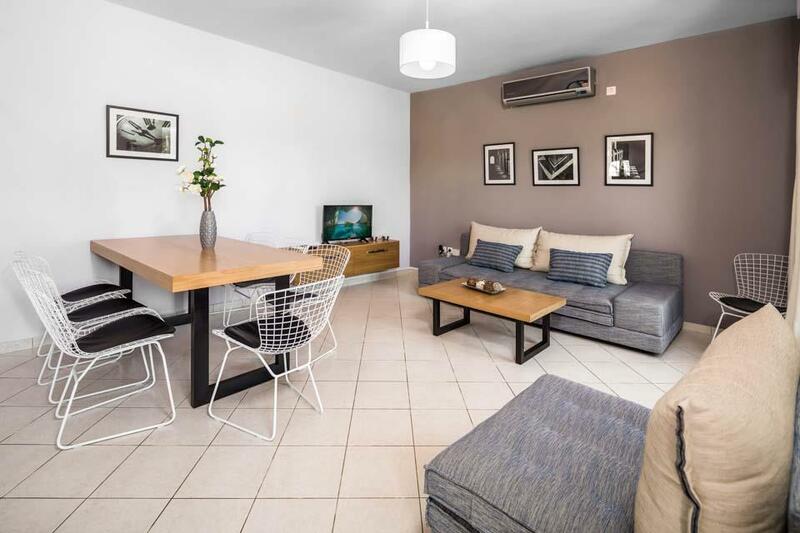 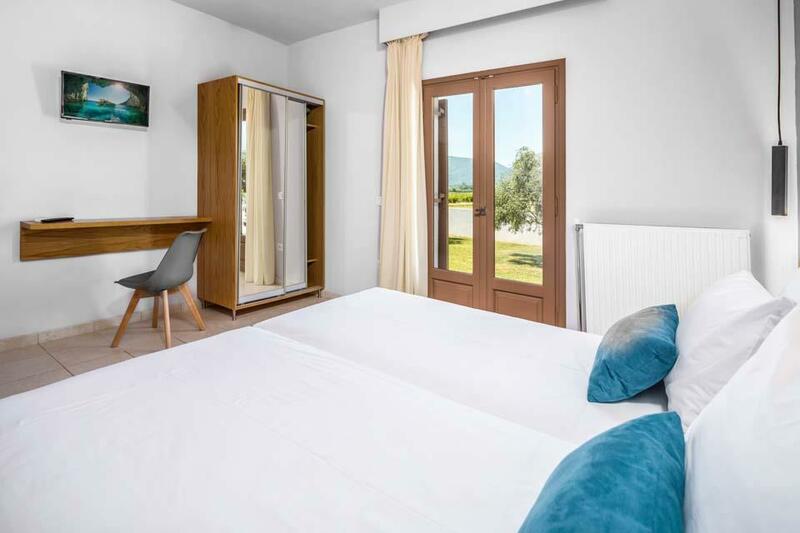 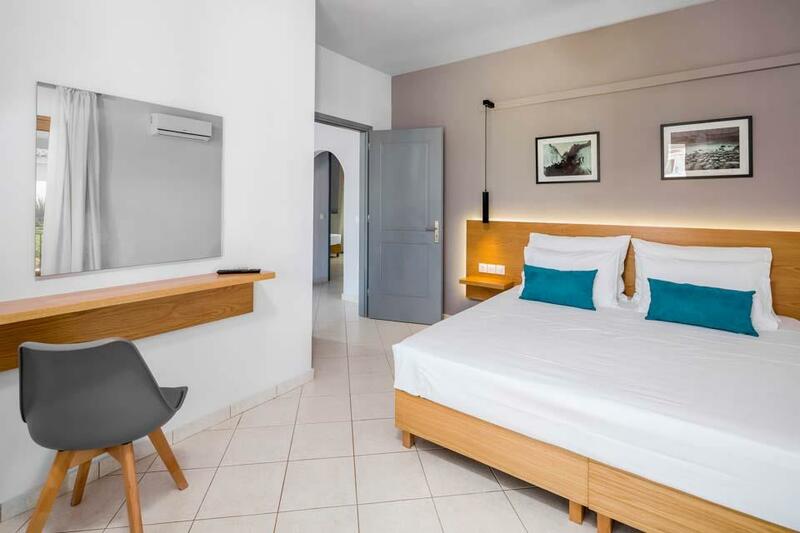 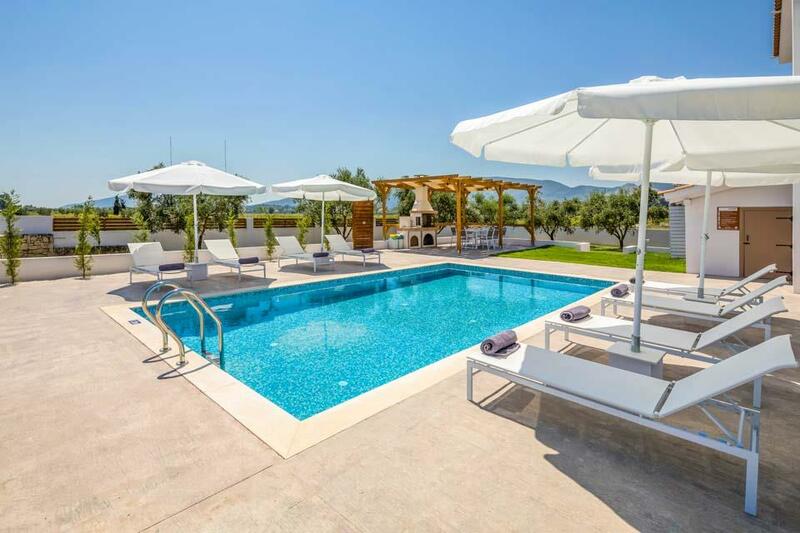 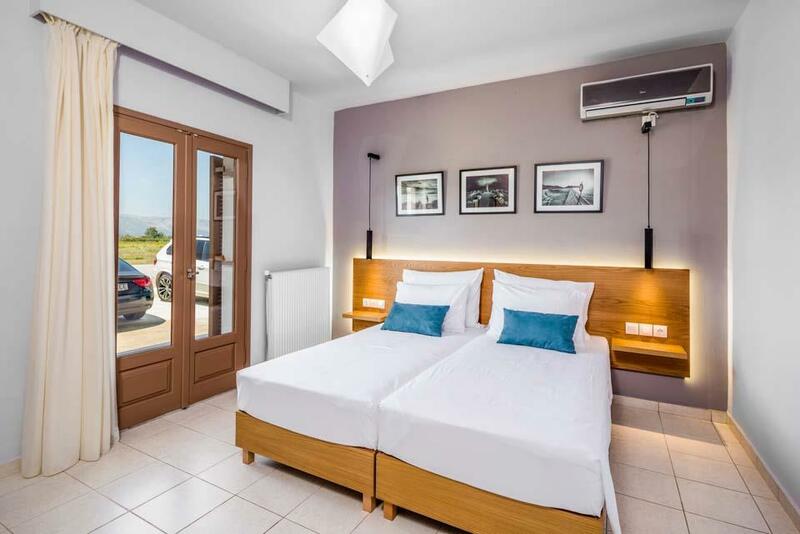 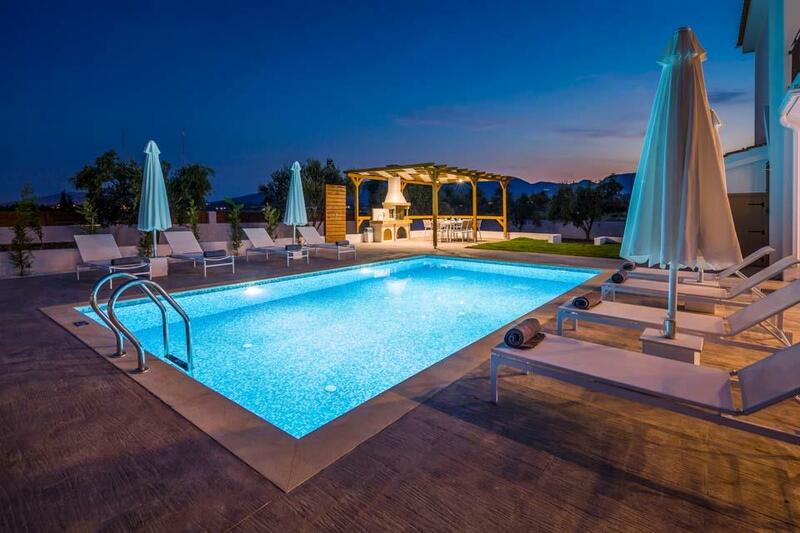 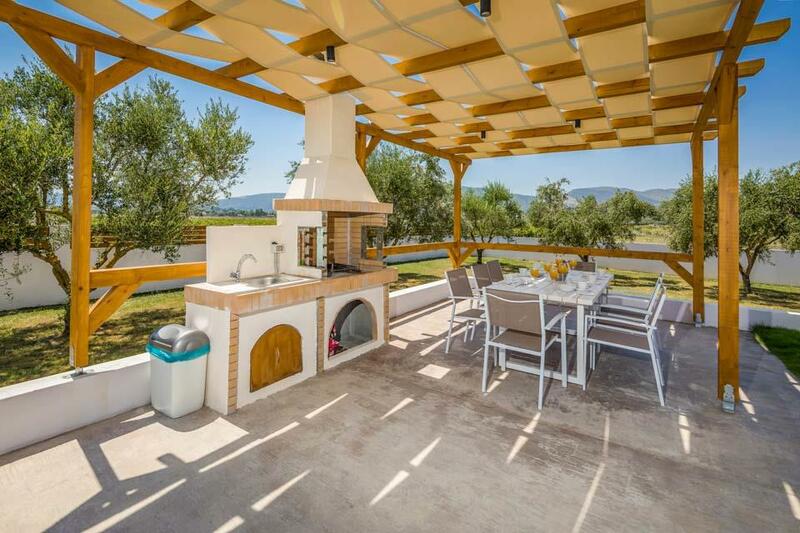 An added advantage is that Rodi could be booked in conjunction with adjacent Villa Orchard for larger groups giving each party their privacy but being able to enjoy their holiday side by side. 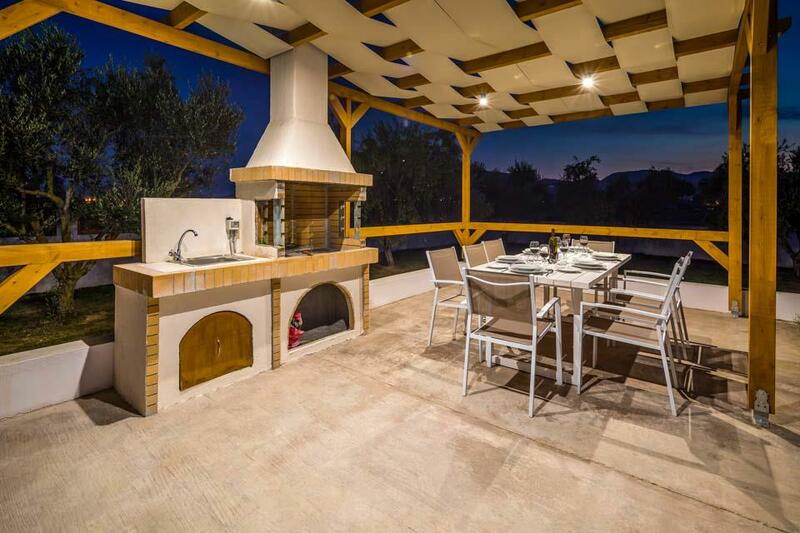 *TV is Greek Satellite TV with gives you access to multiple channels in English Language. 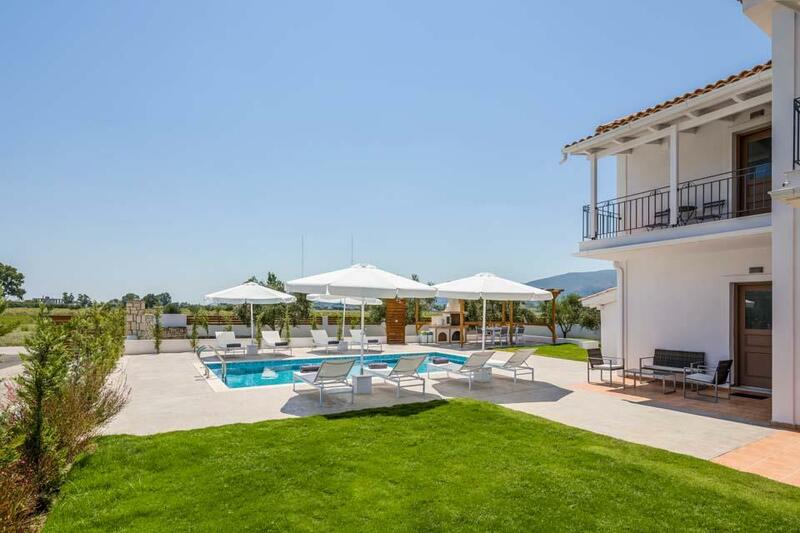 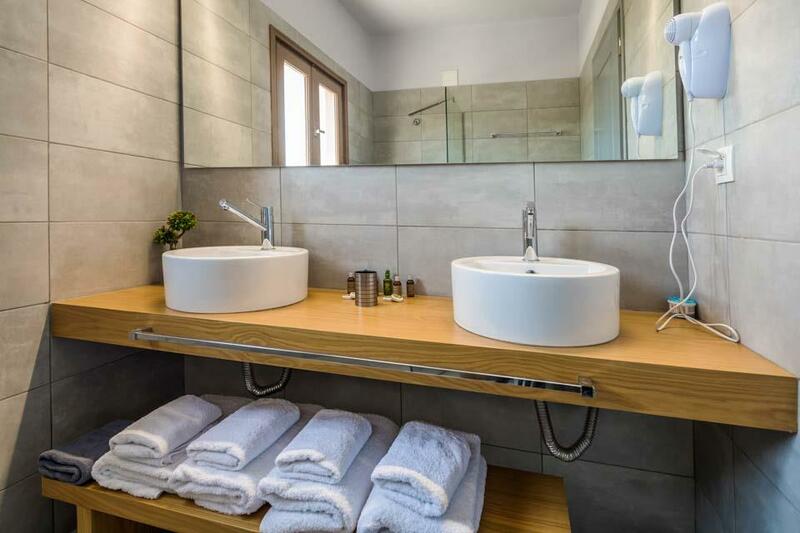 **Save up to 25% by arriving and departing on the standard changeover day**Villa Orchard is aptly named, as it surrounded by vineyards and olive groves in a peaceful rural valley a short distance from Zakynthos town and the Bay of Laganas. 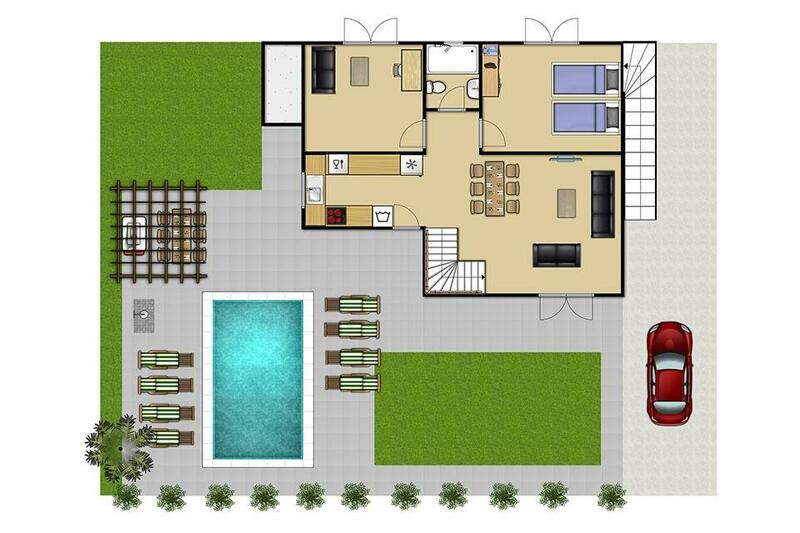 This fully..